1. The Bill for Uniting of two Colleges in Cambridge. 2. The Bill for Uses in Recoveries and Fines. 3. 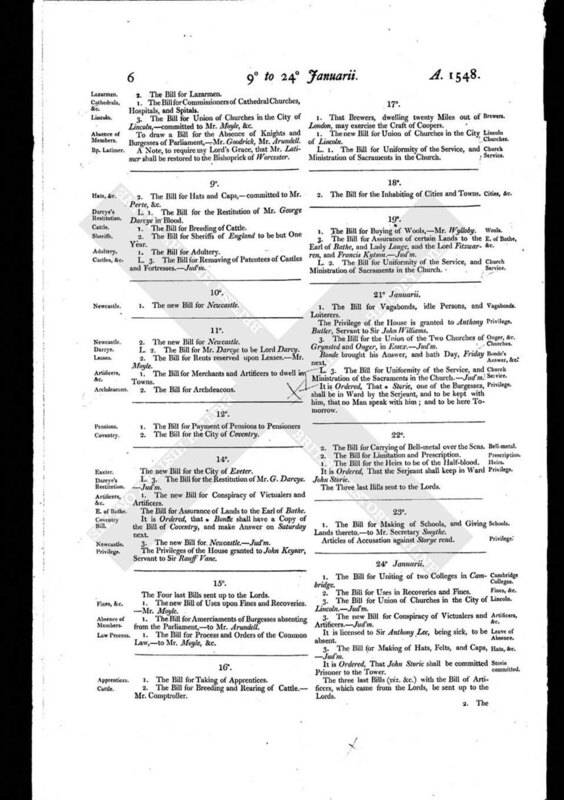 The Bill for Union of Churches in the City of Lincoln. - Jud'm. 3. The new Bill for Conspiracy of Victualers and Artificers. - Jud'm. It is licensed to Sir Anthony Lee, being sick, to be absent. 3. 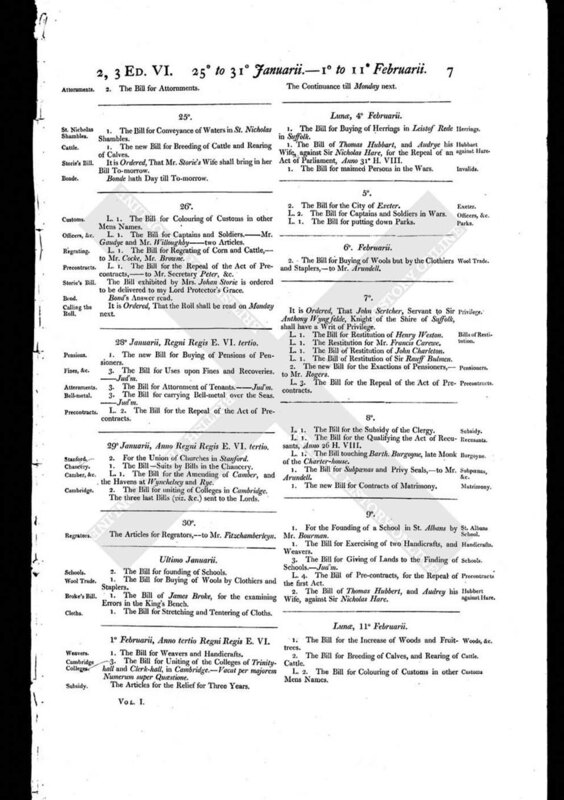 The Bill for Making of Hats, Felts, and Caps, - Jud'm. It is Ordered, That John Storie shall be committed Prisoner to the Tower. The three last Bills (viz. &c.) with the Bill of Artificers, which came from the Lords, be sent up to the Lords. 2. The Bill for Attornments.